I recently interviewed Bob Frankston to add his expert view to my coverage of the FCC NOI on the National Broadband Plan, but what I got instead was an offer to take the Red Pill. So I did. We started with my outline of what I thought were salient points. ”How many times will we, the people, pay to build this network that is refereneced in the National Broadband Plan?” I asked. We built it 100 years ago, the military built a piece in the 1970s, various educationals initiatives built pieces in 1980s & 90s, the National Science Foundation unified and operated the military and higher-ed backbones, and then in 1991 the National Information Infrastructure offered tax breaks and incentives to Telcos to deliver fiber-to-the-home (FTTH) for 86% of American homes by 2010 at a cost of $200 billion to the taxpayer. It sounded to me like a good start. …not one of the steam engines companies survived the transition to diesel engines. It wasn’t because the engineers couldn’t build diesel engines, but because steam engines were one off designs with each engine requiring a different number of wheels and the ability to negotiate a grade or severe curves or longer distances, the DNA of marketing and customer relationship for steam engines was just different than diesel engines. Had the railroads realized that they were in the transporation business, they would have built airplanes. …they wouldn’t have built roads as there was no business model in roads. Why is the railroad a good model for the telecommunications business as described by the National Broadband Plan? First, the FCC (Federal Communications Commission) was modeled on the ICC (Interstate Commerce Commission) who regulated railroads and sold rights for a price. This is similar to the FCC’s revenue generating activity in auctioning spectrum to wireless carriers. Just as rights for railroads were treated as private property, so is spectrum. In fact, spectrum allocations are specified in acre units. It is counterintuitive to think of signal frequencies in the sky as acres of land, but that is the current process of transferring our national airwaves into property sold to carriers. The steam engine versus diesel engine analogy is directly relatable to the battles between so called Bell heads (those specialized in circuit-switched networks that comprised the telephone network and long time employees of telcos) versus Net heads (those specialized in packet-switched networks that comprise the Internet and the newer engineers on the block in carrier staffs). For cable companies, the conflict is between Broadcast heads versus Net heads. The evidence for cable company dysfunction is Time Warner Cable’s inability to realize the opportunity of delivering TV as an application across AOL infrastructure resulting in lower costs and greater audience reach. Modern railroads in the US have these companies reinvesting their profits into infrastructure. European railroads separate the rails business and the by-rail-transportation business. They are two different businesses. And yet, the Internet is more like driving, and you can’t just bend the railroad business and make it a road. With the Internet we create our own solutions. Bob’s discussion on unneeded and even incompetent complexity in the effort to assure scarcity is best presented in his own article titled, Assuring Scarcity. The analogy of telcos as railroads and the Internet as roads started to rattle around in my head. Today’s service providers, telecommunications and cable companies, are trying to sell Internet service through artificial billing events. Sending messages is a good example. Why do we pay – at worst – 20 cents per text, but 75 cents per picture message. Both are composed of bits. Once you have the ability to transfer bits, you can transfer more bits. What would our use of roads be like if today’s telco and cable cos (ISPs) were in charge of roads? Roads are built by city, county, state and the federal governments. Let’s say that those are the service providers in this case. If these road provdiers were like ISPs and potential broadband providers they might be telcos, cable cos and fiber cos. Each of these companies strings a wire to my house. So, to ensure my “access” to roads the city, county, and state would have to extend their roads to every house to provide access to their brand of transportation service. That’s at least three roads running out to every house. Each time I drove up on the road, I’d need a way to show that I’ve paid for access to the road. For simplicity sake let’s say that I have an “E-ZPass” to present my crendentials to a reader that would allow me access. And to get the E-ZPass I pay a monthly subscription to either the city and would therefore be restricted to driving only on city roadways. Or if I paid a monthly subscription to both the city and the county, I could drive on both city and county roads, but not on state roads. This description isn’t different from paying for DSL and Cable TV. Or paying for Cable TV, phone and Internet Access commonly known as a triple play. Now in this analogy, I’d need the right vehicle to drive on asphalt which wouldn’t work on conceret roads. Concrete roads would require a different set of specs for the vehicle. A choice would require that one decide to drive on the more plentiful asphalt roads or the less plentiful but more stable concrete roads. Roads have special features. Each time a bridge is crossed, or a tunnel driven through would be an event for a new charge. In addition, if I wanted to take advantage of higher speed limits on the roads I’d be charged each time I increased my speed to a higher level. On city and county roads it might be one charge for 25 to 35 mph and then a fee increase for 45 to 55 mph. And of course my monthly road subscription would limit the total number of miles I could travel on the road. Any additional mileage would result in a higher monthly subscription or a per mile charge 10x to 40x greater than the montly allotment. To replicate the cable model, I’d be limited to mass transit. My road experience would need to be shared with a group. The more subscribers on the bus or train, the more stops and therefore the slower my transportation. If I wanted to use roads during rush hour, an addition charge would then allow me to use roads during those peak periods. I would not be allowed to roam onto roadways even for short periods built by a provider with which I didn’t have a monthly contract. Using road side attractions would each require it’s own fee. Public restrooms, emergency lanes, emergency call boxes, and rest areas would each read my E-ZPass and transfer the appropriate charge to my bill. Each trip on roads would require an assessment of which providers I needed to pay to complete my transportation goal. That’s right. Transportation is the service I want, but instead I’m paying for arbitrary road events that are artifically and inconsistently assigned some price. Telecommunications is an application. This abstraction has been successfully demonstrated byTruphone, Skype and Vonage. TV is an application successfully demonstrated by Hulu andUstream.tv. They are not magically integrated into a physical cable. We should be asking many more questions as we consider the FCC’s new national strategy. Bob Frankston having thought about these issues since his work at Microsoft and creating “Home Networking” which freed consumers from the carriers owning the network in their house. Sound far fetched? Cable cos and DSL providers in the early days charged for the number of computers one connected to their network – not unlike charging for multiple cable boxes when such equipment was required just to watch broadcast video. Why do we tolerate the claim that fungible infrastructure is a telecom service? Roads are infrastructure and although they enable one mode of transportation we do not fund them with a service model. The FCC’s NOI lists hundreds of questions and areas of investigation considered by the FCC to support the development of a nationwide broadband strategy. 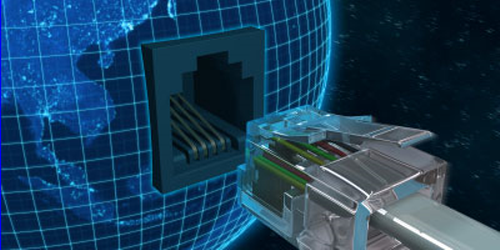 …the Commission currently uses the terms “advanced telecommunications capability,” “broadband,” and “high-speed Internet.” Should these definitions be unified, or should they have separate meanings for different purposes, keeping in mind that current and future broadband platforms will increasingly support “high-speed Internet” as one of several offered services including voice, video, private data applications, and the like? 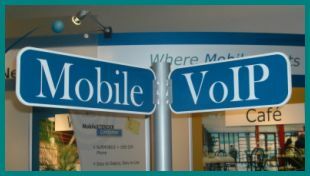 …should a different set of standards be used to identify mobile broadband services which allow mobility or portability but may have lower throughputs – and fixed broadband services? Should the definitions vary depending on whether the broadband service is used to serve residential or business customers and if so, how? hint the complexity of ensuring semantic precision as required for rule making or regulation. Most of us have a shared understanding based upon common knowledge or perhaps marketing definitions of what is meant by broadband or high-speed Internet. Of course, no one will go to court over the phrases used in various articles or conservations. The Plan lists 12 policy goals of a national strategy. Beyond the policy goals the NOI addresses various network technologies including satellite, WiMAX, LTE, and fiber along with the availability of the new white spaces spectrum. The focus of questions concerning specific technologies and this new spectrum availability is the role these networks can play in “ensuring access” to broadband for rural areas or areas where competition is limited. The FCC also announces in the NOI plans for a comprehensive data collection effort to assess the true availability of broadband in the US. Previous and current data relies upon service providers to provide the FCC with self-determined metrics on the availability of broadband and high-speed Internet access. The methods used by ISPs to measure access has come under fire from a number of consumer and public interest groups. It is critical that astroturf organizations like Connected Nation are balanced by response and data efforts which are independent. Connected Nation is campaigning through the comments process at both the FCC and the NTIA which is responsible for a large portion of the $7.2 billion broadband stimulus outlay. There are so many areas to contribute through the FCC’s comment process that everyone – especially those in the technology industry and the new media industry must participate. Independents and entrepreneurs have a direct stake in helping the FCC meet it’s goals to provide Congress with a National Broadband Plan that recognizes new economic realities of innovation coming from the network’s edge rather than just being broadcast out to the edge. The Plan recognizes this in part by covering “Entrepreneurial Activity as one of the commission’s policy goals. Below are examples of comments to the FCC. Simple position statements like “We must have Net Neutrality” while can achieve weight is received from tens of thousands of individuals likely wouldn’t receive the same level of attention and consideration from the commissioners as a thoughtful and substantive response. This point was made clear in a recent interview with Kevin Werbach who has been a recipient of these communications when he served at the FCC in the mid 1990s. The full interview with Werbach will be posted as a podcast on mobilejones.com this weekend. Other interviews are also coming from those with a unique perspective on the importance of the FCC’s work to establish the National Broadband Plan. Leadership: ATT, National Cable and Telecommunications Assoc., CTIA – The Wireless Assoc., United States Telecom Assoc., Verizon, Comcast and others. A plan is underway in the halls of the FCC that will impact your ability to participate in our democracy, to be educated and to earn a living. The FCC received direction from Congress through the American Recovery and Reinvestment Act, commonly known as the Stimulus Bill, to create a national strategy for broadband and to ensure access and adoption of broadband across the United States. The FCC released on April 8, 2009 a Notice of Inquiry (NOI) for public comment on The National Broadband Plan (NBP). This NOI sets the issues to be considered and areas where the FCC is seeking input from industry, state and local governments, international resources, technology experts, policy experts and the public. to “We seek comment on whether subsidizing the recurring subscription cost for broadband service, or subsidizing the fixed costs of obtaining computer equipment could address the affordability of broadband for all Americans…”. Other areas of comment include Public Saftey and Homeland Security, Delivery of Health Care, Worker Training, Entreprenuerial Activity, Venture Capital, and Improving Government Accountability. The scope of NBP touches every aspect of public and private endeavor, and therefore, every American. Those coming under FCC regulations including Internet service providers, radio, television, cable companies and wireless service providers are guaranteed to engage on the areas of defining broadband, service requirements, pricing, deep packet inspection, nondiscrimination, competition and consumer welfare. Regulations on broadband directly impact their businesses and profits. In addition, these entities have an advantage in that they know the FCC, it’s processes and it members. It is, therefore, critical that the public adds it’s comments on the digital divide, affordability, open networks, and even non-discrimination of network traffic as doing so ensures consideration by the commission of the public interest and needs for communication, media consumption and creation and even the ability to participate in government. Broadband is currently defined as 768 kbps as either download or upload which will prove insufficient when measured against the demands as more media moves from print to online, gaming and simulations become more sophisticated and software and services move into the cloud. The US has failed to keep pace with the rest of the world on broadband deployment, speed and price. Eight years ago the US was ranked 4th as compared to other nations. Today the US ranks 15th, 17th or even 22nd depending on the source. The chart below shows where the US stood in comparison to other countries as of May 2008. 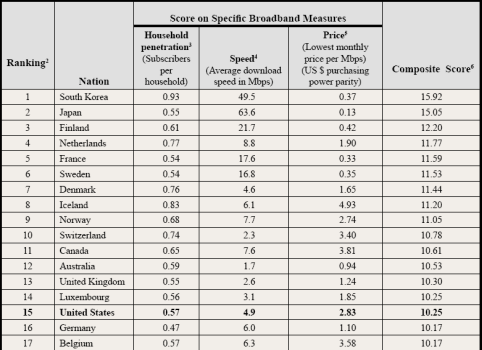 Relying upon deregulation and the private sector alone hasn’t served Americans well as compared with Japan and Korea where deployments are primarily fiber. Recent attempts by service providers like Time Warner Cable and ATT to limit usage through the implementation of data caps, and the industry wide practice of wireless providers to cap data usage on so-called unlimited plans provides the evidence for how consumer needs can be at cross purposes to the profit goals of broadband providers. As noted in TWC SEC filing, their goal was to move their customers up the usage pricing tiers quickly, but what effect does such strategy have on unemployed Americans who want and need to create an online presence for their job search? What effect does TWC stratgey have on lower middle class and the poor? What effect does this sort of strategy have on our government’s push to engage the public via video on issues and accountability? Our economic future is inextricably tied to our access to broadband Internet connections. The US economy no longer relies upon a manufacturing base, and more Americans are relying upon the Internet for their income. Whether you work for a technology company that provides services via the network like Microsoft, Apple and Google, or you are a a new media star on YouTube, the ability to interact with your customers online and grow that customer base online makes broad availability of broadband critical to your survival. The vast increase of video consumption and creation for communication, education and even health delivery punctuates the demand for broadband. Congressional requirement that the FCC create a national strategy recognizes this fundamental shift in our economic future. Some estimates have stated video accounts for 70% of all Internet traffic. Video information resources available via the Internet include resources and points of view not represented in other forms of media. As printed new outlets are shrinking, online news outlets are exploding. Our ability to be informed citizens is becoming more and more reliant upon access to a diverse and variety of news sources that populate the Internet. 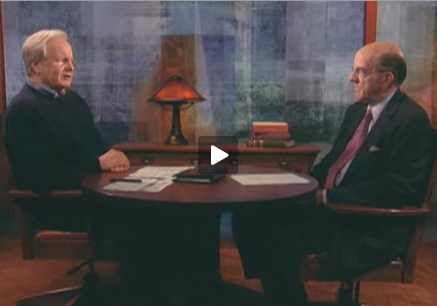 A great example is provided by current FCC Interim Chairman, Michael Copps during an interview with Bill Moyers from a 2007 discussion on media consolidation and Net Neutrality. Viewing the full video is highly recommended as many of the concerns Copps expresses on media consolidation and Net Neutrality are inherent in a national broadband strategy that should serve the public interest. Your comments can help the FCC understand the issues and needs from school teachers, students, technology experts, health care workers, online marketing consultants, YouTube stars, bloggers, IT workers, job seekers, charities, and everyone in between, even twitterers. I encourage everyone to email FCC Interim Chairman Michael Copps at michael.copps@fcc.gov and request public hearings around the country before the June 8, 2009 dealine for comments. This will help ensure participation from those who are currently on the underserved side of the digital divide, and from those who have valuable contributions to make to the issues of a broadband strategy technology needs. A copy of the hundreds of questions the FCC faces and on which they have requested input is avialable in The National Broadband Plan NOI. Comments can be submitted via e-mail by following the instructions on the FCC web site under Electronic Comment Filing System. Scrolling down the page you’ll find examples of the form required to submit your comment. An important note is that comments must be submitted in plain text, so do not send HTML formatted email as the system may reject your entry. A call to the FCC Help Desk to clarify this issue at (202) 418-0193 was not returned at the time of publication of this article. When clarification is received, and update will be included. Join the FriendFeed group and join the conversation here in comments below. Return here to mobilejones.com – I’ll post audio interviews from a number of stakeholders and those involved more directly in policy making on this issue.